While creating True or False cards we made sure that they contain interesting general knowledge facts and provide B1 / B1+ learners with the types of language structures that are appropriate for their level. This set can beused in a broad range of ways. You can find some great game ideas inside the box. 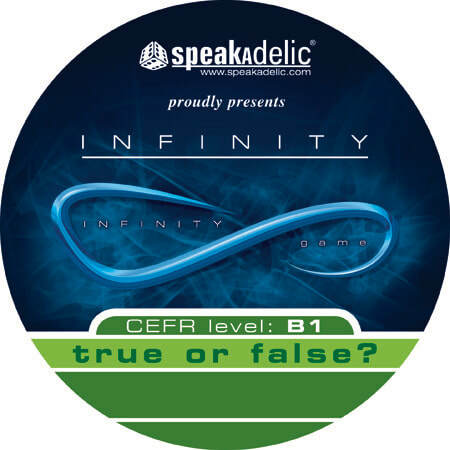 In order to reinforce the language content, after using True Or False cards in a few different games, the cards should be used as part of our Infinity Game.